Self-help books. Do they really help? The helpers who need help. Background: The anti-MMR-vaccine movement has two camps: one sees the vaccine as harmful, the other sees thimerosal (an ethylmercury based preservative that has never been used in the MMR vaccine*) as harmful. 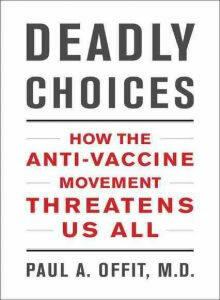 In the US, the anti-vaccine movement began as one aspect of a larger movement that blames mercury and other neurotoxins in the environment for most neurological disorders. After thimerosal was removed from most vaccines, the focus shifted to the quantity of shots given to children and to the speculation that some children are "especially sensitive" to vaccines. The evidence, as you can see for yourself by following this timeline, is overwhelmingly in favor of the notion that neither the vaccines nor their preservatives are harmful, but that not getting children vaccinated has harmful, sometimes deadly, consequences. 1993: A group of researchers led by Andrew Wakefield at the Royal Free Hospital, London, suggests an association between both wild and vaccine measles viruses and inflammatory bowel disease (IBD), based on a small case series of children with Crohn's disease. 1997: Andrew Wakefield applies for a patent for a measles vaccine on behalf of the Royal Free hospital medical school and the Neuroimmuno Therapeutics Research Foundation, the private company of controversial immunologist Professor H. Hugh Fudenberg of Spartanburg, South Carolina. (Fudenberg claims in a 2004 interview with Brian Deer that he cures autistic children with his own bone marrow.) The vaccine is a potential competitor to the MMR vaccine. 1997: In a major push to lift immunization rates in Australia, the Federal Government begins giving Maternity Allowance payments to those completing immunization at 18 months of age, as well as linking Child Care Assistance and the home child care allowance to immunization status. * 97 per cent of parents favor immunization, but only 53 per cent of Australian children are fully immunized for their age. In 2009, it is discovered that Wakefield fixed his data. 1998: The Lancet publishes a study that concludes: "No evidence for measles, mumps, and rubella vaccine-associated inflammatory bowel disease or autism in a 14-year prospective study." 2000: The journal Pediatrics published a review of studies and concludes that "the available evidence does not support the hypothesis that MMR vaccine causes autism or associated disorders or IBD." 2000: A large measles outbreak occurs in Ireland, with over 1600 cases reported and three associated deaths. 2001: Parents began filing petitions for compensation with the U.S. Secretary of Health and Human Services under the Vaccine Injury Compensation Program, alleging that certain childhood vaccinations might be causing or contributing to autism or autism spectrum disorders. 2001: The Institute of Medicine of the National Academies issues a lengthy report rejecting the claim that there is a causal relationship between the MMR vaccine and autism spectrum disorder. 2001: The British Medical Journal publishes "Mumps, measles, and rubella vaccine and the incidence of autism recorded by general practitioners: a time trend analysis." Conclusion: "the data provide evidence that no correlation exists between the prevalence of MMR vaccination and the rapid increase in the risk of autism over time." 2002: The British Medical Journal publishes "Relation of childhood gastrointestinal disorders to autism: nested case-control study using data from the UK General Practice Research Database." Conclusion: "No evidence was found that children with autism were more likely than children without autism to have had defined gastrointestinal disorders at any time before their diagnosis of autism." 2002: The New England Journal of Medicine (NEJM) publishes "A population-based study of measles, mumps, and rubella vaccination and autism." This study on over 500,000 Danish children concludes: "This study provides strong evidence against the hypothesis that MMR vaccination causes autism." 2002: Molecular Pathology publishes "Potential viral pathogenic mechanism for new variant inflammatory bowel disease." Conclusion: "The data confirm an association between the presence of measles virus and gut pathology in children with a developmental disorder." 2002: The Office of Special Masters (OSM) holds a series of meetings with an informal advisory committee to address the task of dealing with the many claims for compensation under the Vaccine Injury Compensation Program. Of more than 5,000 claims, the OSM agrees to hear three test cases that attorneys for the claimants will select. The OSM would rule on the issue of the MMR vaccine causing autism, vaccines with thimerosal causing autism, and thimerosal itself causing autism. 2003: Pediatrics publishes "Safety of Thimerosal-Containing Vaccines: A Two-Phased Study of Computerized Health Maintenance Organization Databases." The study's lead author is Thomas Verstraeten. Conclusion: "No consistent significant associations were found between TCVs [thimerosal containing vaccines] and neurodevelopmental outcomes." However, since some of the studies were conflicting, there was a call for further studies. This is the same Thomas Verstraeten who will be cited by Rep. Dave Weldon and environmental lawyer Robert F. Kennedy Jr. for testifying that there is a causal link between vaccines and autism at a meeting in 2000. Kennedy called the meeting "private" and labeled it part of a government and pharmaceutical firm conpsiracy, even though the co-conspirators have published a 286-page account of their "private" meeting. In that report, Verstraeten is quoted (while referring to a slide he is showing the audience): "This is the result for autism, in which we don't see much of a trend except for a slight, but not significant, increase for the highest exposure. The overall test for trend is statistically not significant. "* The cohort for this study included over 100,000 children. 2003: Pediatric Neurology publishes "Elevated levels of measles antibodies in children with autism." The authors find measles antibodies "in 83% of autistic children but not in normal children or siblings of autistic children," and speculate that "autistic children have a hyperimmune response to measles virus, which in the absence of a wild type of measles infection might be a sign of an abnormal immune reaction to the vaccine strain or virus reactivation." 2003: Dr. Arthur Krigsman (formerly of New York University School of Medicine), now a colleague of Wakefield at Thoughtful House, testifies before the Government Reform Committee of the United States Congress on the safety of MMR and other vaccines. He claims to have found severe intestinal inflammation in 43 autistic children. * Dr. Krigsman noted that his conclusions were "independent of Dr. Wakefield's findings" and "completely support his explanation and his observations of the abnormalities in the bowels of these children." He said he didn't know, however, "whether his patients' illnesses were linked to MMR." 2003: Dr. Michael Fitzpatrick's MMR and Autism is published. 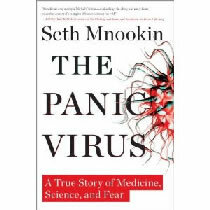 According to one reviewer, Fitzpatrick "demolishes the argument that MMR causes autism." 2004 (May): The Immunization Safety Review Committee at the Institute of Medicine issues an updated report on its examination of scientific studies worldwide. Conclusion (the same as in 2001): there is no convincing evidence that vaccines cause autism. 2004 (June): Rep. Dave Weldon of Florida, before the Institutes of Medicine, denounces the NIH and CDC for its selective use of data to make the vaccine-autism link disappear. He urges more studies be done and implies that studies should continue until a link between vaccines and autism is proved. 2004: It is revealed that Wakefield was paid more than £400,000 by lawyers trying to prove that the MMR vaccine was unsafe. The payments were part of £3.4m distributed from a legal aid fund for doctors and scientists who had been recruited to support a now-failed lawsuit against vaccine manufacturers. * At the time he published his 1998 report in The Lancet, he had already been paid £55,000 to look for links between the vaccine and disorders. Worse, Wakefield had patented his own 'alternative' MMR vaccine prior to conducting his research. He did not disclose either fact when he submitted his work for publication. Richard Horton, editor of The Lancet, says that he would not have published Wakefield’s paper had he known of the conflict of interest. Wakefield hired a lawyer and demanded an apology from The Lancet. * No apology was given. 2004: The British General Medical Council (GMC) began an inquiry into allegations of professional misconduct against Wakefield and two former colleagues. Three years later Wakefield was working in Texas at an autism clinic and was still waiting for the GMC hearing to begin. In the meantime, he sued Channel 4, 20-20 Productions, and Sunday Times reporter Brian Deer for libel. He dropped the suit, claiming he had to concentrate on the upcoming GMC inquiry. Deer's investigation had found that Wakefield didn't reveal to The Lancet that some of the children who took part in his research were also subjects in another study funded by legal aid to find out whether they had a possible compensation claim against vaccine manufacturers. 2004: A statement is issued by 10 of the 12 authors of the 1998 Wakefield study. It reads: "We wish to make it clear that in [the 1998] paper no causal link was established between MMR vaccine and autism as the data were insufficient. However, the possibility of such a link was raised and consequent events have had major implications for public health. In view of this, we consider now is the appropriate time that we should together formally retract the interpretation placed upon [the] findings in the (1998) paper, according to precedent." 2004: The Lancet publishes "MMR vaccination and pervasive developmental disorders: a case-control study." Conclusion: "Our findings suggest that MMR vaccination is not associated with an increased risk of pervasive developmental disorders." 2005: Robert F. Kennedy Jr. publishes an article in Rolling Stone that claims there is a government/Big Pharma conspiracy to "poison a generation of American children" by vaccinating them. 2005: David Kirby's anti-vaccination book is published: Evidence of Harm: Mercury in Vaccines and the Autism Epidemic: A Medical Controversy. Kirby blames thimerosal in vaccines for the autism epidemic. 2005: The CDC reports on poliovirus infections in four unvaccinated children in Minnesota. 2006. A study published in the Journal of the American Medical Association found no significant difference in adverse neuropsychological or renal effects between children with mercury dental fillings and those with non-mercury fillings. Even so, because of fear that mercury fillings might be dangerous, there are some 70 million dental amalgam removals and replacements with non-mercury substances done annually in the United States. 2006: Pediatrics publishes "Pervasive developmental disorders in Montreal, Quebec, Canada: prevalence and links with immunizations." Conclusion: "The prevalence of pervasive developmental disorder in Montreal was high, increasing in recent birth cohorts as found in most countries. Factors accounting for the increase include a broadening of diagnostic concepts and criteria, increased awareness and, therefore, better identification of children with pervasive developmental disorders in communities and epidemiologic surveys, and improved access to services. The findings ruled out an association between pervasive developmental disorder and either high levels of ethylmercury exposure comparable with those experienced in the United States in the 1990s or 1- or 2-dose measles-mumps-rubella vaccinations." 2006: The Journal of American Physicians and Surgeons ["abbreviated JPANDS, because "JAPS" has some rather obvious negative connotations"] publishes "Early Downward Trends in Neurodevelopmental Disorders Following Removal of Thimerosal-Containing Vaccines [TCVs]." Conclusion: "From data presented here and other emerging data, it appears clear that additional research should be undertaken concerning the effects of mercury exposure, particularly from TCVs." Orac responds: I first discovered JPANDS in early 2006, when it published a paper by Dr. Mark and David Geier purporting to find a downward trend in autism diagnoses after the removal of thimerosal from vaccines. The paper was so ludicrously, execrably bad in design, execution and analysis that I had a hard time believing that any self-respecting journal would publish such tripe. Kathleen Siedel shows that JPANDS is published by a political advocacy organization driven by ideology not science. 2006: The Combating Autism Act is signed into law by President George W. Bush on December 19, 2006. It authorizes nearly one billion dollars in expenditures over the next five years to combat autism spectrum disorders, Asperger syndrome, Rett syndrome, childhood disintegrative disorder, and PDD-NOS [Pervasive Developmental Disorder, Not Otherwise Specified] through screening, education, early intervention, prompt referrals for treatment and services, and research. 2007 (September): Oprah provides a bully pulpit for two women she calls "mother warriors": model/actress Jenny McCarthy and actress/singer Holly Robinson Peete. McCarthy and Peete present themselves as fighting the medical establishment and pharmaceutical industry to save their children. McCarthy claims that vaccines caused her son's autism, but that she cured him thanks to her "mommy instinct." She promotes her book Louder Than Words: A Mother's Journey in Healing Autism. A year later, McCarthy's book Mother Warriors is in the bookstores. In 2009, she came out with Healing and Preventing Autism: A Complete Guide. McCarthy calls the MMR jab "the autism shot." 2007: NEJM publishes "Early Thimerosal Exposure and Neuropsychological Outcomes at 7 to 10 Years." Conclusion: "Our study does not support a causal association between early exposure to mercury from thimerosal-containing vaccines and immune globulins and deficits in neuropsychological functioning at the age of 7 to 10 years." 2008: The Stop Jenny McCarthy campaign is launched by Kylie Sturgess, Michael Rosch, and others who remain anonymous. 2008: The European Commission's Scientific Committee on Emerging and Newly Identified Health Risks issues its report on the safety of amalgam dental fillings. Alternatives that are tooth colored might be more aesthetically pleasing, but they are not safer than mercury-based fillings. 2008: PLoS ONE publishes "Lack of Association between Measles Virus Vaccine and Autism with Enteropathy: A Case-Control Study." Conclusion: This study provides strong evidence against association of autism with persistent measles virus RNA in the GI tract or MMR exposure. Autism with GI disturbances is associated with elevated rates of regression in language or other skills and may represent an endophenotype distinct from other autism spectrum disorders. 2008: The first test case is ruled on by a special court for some 5,000 lawsuits claiming a vaccine/autism causal link. The Division of Vaccine Injury Compensation, Department of Health and Human Services (DVIC) special master (judge) ruled in favor of the plaintiff, despite little evidence in favor of the hypothesis that the child even has autism, much less that her autism was caused by vaccines. The child has a disorder that affects every cell in her body and it is speculation that vaccines caused her autism-like symptoms or seizures. This was the first of three cases selected. No ruling was made on whether the MMR causes autism, vaccines with thimerosal cause autism, or thimerosal itself causes autism. The DVIC special court granted the family $810,000 (plus an estimated $30-40,000 per year for services and care) in compensation. What was shown was that after receiving vaccinations, the child suffered from brain damage. Anti-vaccinationists like Robert F. Kennedy Jr. claim the court ruled that a vaccine caused autism. It did no such thing. Kennedy takes any neurological damage to be equivalent to autism, which it isn't. 2008: San Diego parents don't vaccinate their seven-year-old child for measles. When she caught the disease on an overseas trip, "this decision became a whole community's problem. The outbreak infected 11 children and endangered many others. "* The LA Times reports: The United States is on track to report its highest incidence of measles cases since 2001, exacerbated by a rise in outbreaks worldwide and by clusters of people who are opting out of the vaccine because of religious beliefs or fears of a purported link between the shot and autism. As of April 25, there were 64 reported cases of measles nationwide this year, including 12 in San Diego. 2009: A study in California concludes that there has been a dramatic rise in autism that can't be accounted for by changes in diagnostic criteria. Dr. Steven Novella and Socratic Gadfly dispute the conclusion. 2009: News reports announce that Wakefield fixed his data in the studies that started the autism scare. 2009: Eight cases of pertussis, better known as whooping cough, have been reported in Maine. According to the Maine Center for Disease Control and Prevention, the outbreak involves an elementary school, a middle school, and a worksite. Dr. Dora Mills, director of the Maine Center for Disease and Prevention, said childhood vaccines have been effective in reducing incidents of pertussis. “The more unvaccinated children we have, the more likely that all of us can contract pertussis,” she said. “The vaccine is extremely effective, but like any medicine, is not 100 percent effective. “Before the pertussis vaccine, this disease was one of the leading causes of childhood death, especially of infants. Since I’ve been in this job, 13 years, I’ve not known of a child to die of pertussis. 2009: The "Vaccine Court" in the Omnibus Autism Proceedings (OAP) Rules Autism Not Caused by Childhood Vaccines. Special master George Hastings said the parents of Michelle Cedillo -- who had charged that a measles, mumps and rubella (MMR) vaccine caused their child to develop autism -- had "been misled by physicians who are guilty, in my view, of gross medical misjudgment...." Thousands of cases charging childhood vaccines cause autism have been filed in the vaccine court in recent years. To simplify proceedings, the court initially decided to hear three test cases that suggested different mechanisms by which vaccines might have caused autism. The court rules that the evidence does not establish that either the MMR or vaccines with thimerosal cause autism. No decision was made on the issue of thimerosal alone causing autism. The ruling is likely to have a major impact on the remaining 5,000 or so cases before the special court. 2009: British actress and radio host Jeni Barnett goes on for 45 minutes about the dangers of vaccines in what Holford Watch describes as "some of the most irresponsible, ill-informed, and ignorant anti-vaccination campaigning that I have ever heard on the public airwaves." Although her radio station removed the show as soon as criticism started pouring in, the bloggers Science Punk, The Lay Scientist, PodBlack Cat, The Skeptic’s Book, and Holford Watch created a complete transcript of the nearly-hour-long anti-MMR talkback that Jeni Barnett featured on her show. 2009: Jenny McCarthy tells Michigan Avenue magazine: "I love Botox, I absolutely love it. I get it minimally, so I can still move my face. But I really do think it's a savior." Botox is botulinum toxin, produced by the bacterium Clostridium botulinum, is the most dangerous neurotoxin to humans. * Oddly, botulinum toxin can also heal, demonstrating an important point: not all dangerous toxins are always dangerous to your health. Special Master Denise K. Vowell wrote in one of the decisions that "petitioners propose effects from mercury in [vaccines] that do not resemble mercury's known effects in the brain, either behaviorally or at the cellular level. To prevail, they must show that the exquisitely small amounts of mercury in [vaccines] that reach the brain can produce devastating effects that far larger amounts experienced prenatally or postnatally from other sources do not." Parents and advocacy groups such as (Jenny McCarthy's) Generation Rescue argued that the ruling represents a conspiracy to protect vaccination programs. Of course, they provided no evidence for their claims and made no effort to refute the monumental scientific evidence against them. new 6 Jan 2011. The British Medical Journal calls the Wakefield study that started the vaccine/autism scare "fraudulent." In a series of articles starting this week, seven years after first looking into the MMR scare, journalist Brian Deer shows the extent of Wakefield’s fraud and how it was perpetrated. The social forces behind spreading lies.